Link building is one of the most important aspects of blogging. Previously it was very easy but with the changing time, link building has become harder and people have developed more complex techniques of link building. However, what many people don’t know is that even in today’s age you can build quality backlinks from a site, just by asking for it. No, we are not lying; even today there are several techniques which allow you to get backlinks for free by just asking for them. Today we are going to explain the various ways you can use to ask and build links for your site completely free, although in some of them you might have to offer something in return. How to ask for links the right way? Before starting you need to learn how to ask for links the correct way, because whether you will get the links or not pretty much depends on the way you ask for it. First of all, emails are still the best way to contact any person or site you are reaching out for link building or any other purpose. So you need to write a good and professional email first before asking people for links. So we are going to explain what a good email looks like, though you’ll have to use the email in the context of the technique you are using and use your own brain while doing so. A good email should not contain more than 3 or maximum 5 paragraphs. because the longer the mail, the more time it will take for a blogger to read it and the more time he has to spend reading it, the lesser your chances are of him agreeing to give you a link. Start your mail with Hi or Hello and if you know, add the first name of the blogger afterwards to make it look more personal. For example, Hi Steve creates a much better impression than just a Hi. In the first paragraph, you should usually introduce yourself and tell then tell the blogger that you are a regular reader of his blog (even if you are not) cause it creates a good impression. If you are going for a high authoritative blog, you may also read a few of his recent posts and appreciate his work in the email. Then in the second paragraph, you need to make your intentions clear, but in a polite way. If you are going to offer something you should first elaborate how it will make his site or post better and especially how it will provide a better user experience. For example, if you are providing images, explain how images, especially the images you are going to provide will help in providing a better user experience. For example, you can say that using images will help a user to go through longer content more easily. And then explain what you want in return. If the content is too long break it in two paragraphs. In the third paragraph, leave your contact details for the blogger to reach you easily. 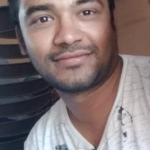 Do mention your email id, even if it’s the same from which you are sending him the mail and provide one or two additional contact options such as a link to your Facebook or Google Plus Id and Skype details. Finally, you should write a line saying that you are looking forward to hearing from the blogger more about this. Remember it should be a separate line and not part of the third paragraph since it helps in provoking the blogger to reply to you. Finally, thank the person for reading your email and use a suitable complimentary close, if nothing comes to your mind you can simply use regards and then your name any other detail you usually write with your name like the name of your company or site etc. 1. Interview – This is probably the best way to ask for links without even really asking for them. Well known bloggers often love to do an interview with new bloggers and many of them link those interview posts from their blog, so the readers of their blog can read them too. 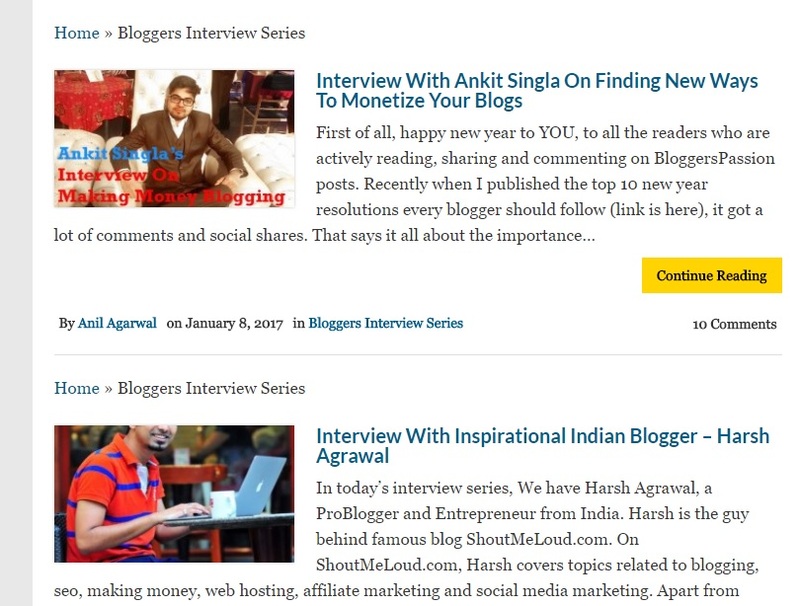 What you can do is find such interviews using Google by searching for “Blogger’s Name+ Interview” and see which one of them has been liked by the blogger. Then simply write an email asking them to have an interview with you and if they accept, you get a link for free. 2) Broken link building – This is one of the newest and certainly one of the most talked ways of link building in today’s age. Broken link building is simply replacing links that are not working. What you can do is find links that are broken, through Wikipedia backlinking technique, build a similar to the broken page and then contact the sites containing that link asking them to replace them with the link to your page. You can use deadlinkchecker.com and brokenlinkcheck.com online tools to know what all broken link on others site and use this technique to get backlinks. 3) Share your posts – Similar to broken link building you can write posts about things that need lots of explanation or are confusing and then share them with bloggers telling them that they can link to them if they want. Though for this you need to write really high-quality posts and find posts on the other person’s site which are not well-explained so he might wanna link them to your post. 4) Images – Of course, not everyone is kind enough to give you a link for free so you may have to offer them something in return. If are a camera bug and like to click photos, you can offer them to use your photos for free and get a link in return. This technique is especially useful when you own a personal blog and are looking to promote it for free. Though it might not be very useful for professional blogs. 5) Infographics – Similar to images, infographics help people in understanding the concept better. So you can offer to create a great infographic containing facts and images which can make the topic more clear and ask for a link in return. You can check our post of infographic designing tools and create your own infographic. 6) Videos – It’s not known why but in recent times, Google has started giving more preference to content containing a video. This is an opportunity for you if you are a vlogger or can create good enough videos. You can offer to create a custom video explaining the content on the page and ask for a link in return. Also if you are vlogger, this is a great way for you to promote your channel for free. You can us our A to Z youtube guide and create our own channel. This was our guide on one of the easiest ways to build links online. Did you enjoy reading this article? What other points do you think can be added in it? Do let us know your thoughts in the comment section.